Will the weather please make up its mind!? Wow, it has been a while since I last posted an entry in my blog! My time has been filled with fire-suppression spring cleaning, garden planting, weed pulling, and taking photos. 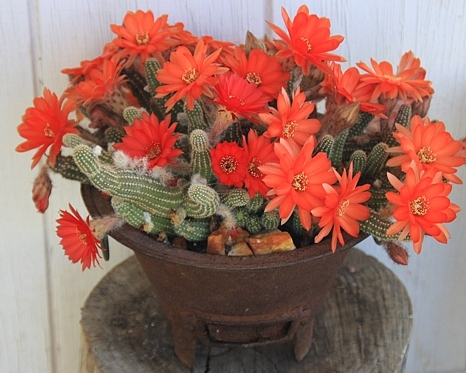 This first photo is an Echinopsis hybrid ‘peanut cactus’ in my most favorite of ‘found’ pots, an old rusty hibachi barbecue! It’s cultivar name is ‘Fire Chief’ and it does seem on fire. I thought the container appropriate for the flaming flowers. The weather has gone from record cold, to record heat, where I go from scrambling to cover everything tender at night, to providing afternoon shade and adequate water to newly planted vegetable plants. 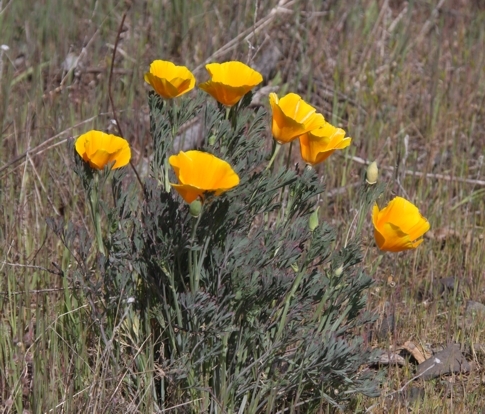 These California poppies look really ‘hot’, too. These wild flowers bloom on the gravelly banks of East Stillwater Creek. The care of the property has been left largely up to me, this last couple of weeks. My helper’s life seems to be in a state of flux. While he is struggling to come to terms with adulthood and the pull of friends and fun, I am left to mow, spray, dig and clean alone. It is a sad time for me, because we have been the best of friends, and we’ve gone through a lot together. At 16 his mom died, and in the next few years many more members of his family died, so he came into our lives at 20, with an unfinished place in his heart which I hope I have helped to furnish with good thoughts, memories, laughter, admonitions and direction, things that a mom and friend would be there to create. I knew that there would come a time for him to test out his wings and fly. I knew it from the start that it would be a very bittersweet time. Our friendship will always be a treasure to me. 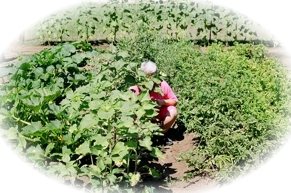 His wanderlust leaves me with a whole lot of chores to complete in a short amount of time, because one cannot let the clearing of the property go too far into summer-time, it has a fairly narrow time-frame to be completed. But, after a lot of long 10-12 hour days, line-trimmers, rakes, shovels, and lots of nasty stickers in my socks, I am nearly done! 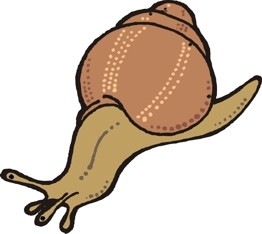 I am on the home-stretch! 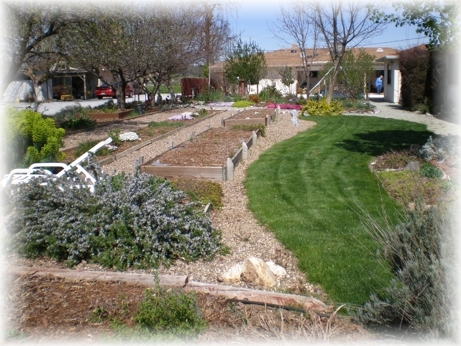 My vegetable garden is in, its irrigation system is installed. Most of the seeds are sprouting. We’ve managed to clear and plant the whole 40′ x’70’ section, a first! Augh! Moles everywhere! Tiny grasshoppers, earwigs and aphids already at work. Good thing we have so many different types of birds about. I’ll even forgo a stolen strawberry if they will just eat the bugs. 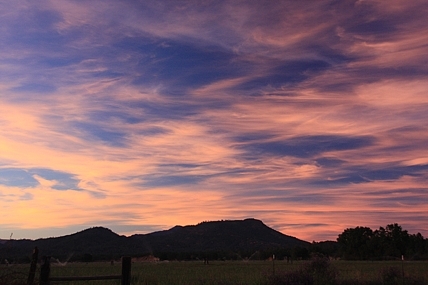 The last few days have been wonderful for sunsets! These three images were taken Wednesday. 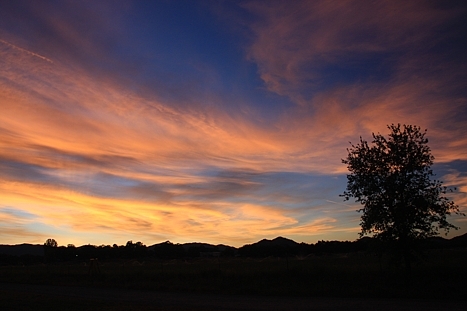 The colors were so sublime and delightful, a grand show! Even Bear Mountain was dressed up in finery. I’ve had some lovely visitors to my garden in the last couple of weeks. 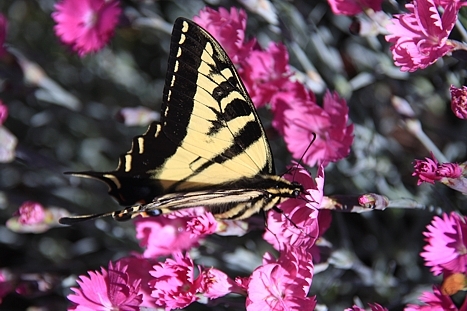 This tiger swallowtail butterfly loves my Firewitch dianthus. I sometimes get pale swallowtails, Lorquin’s admirals, pipevine swallowtails and monarchs for a visit, as well. I’ve had old-world swallowtails come by briefly, but they are always tattered and careworn. Here is my front yard as of Monday. The annual boxes are finished being planted, spent big bucks on the flowers this year. When am I going to start them all from seeds and save a bundle? The valerian is blooming white in the foreground, to the right is chrome yellow coreopsis and behind it are my Leptospermum bushes blooming pink and magenta. My trees are just now coming out of the big freeze a couple of weeks ago. 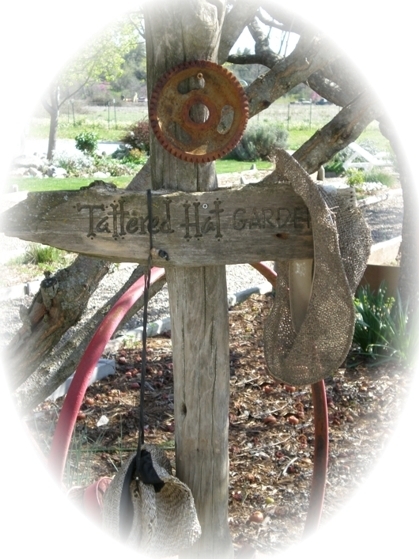 I have been invited to write a gardening column for our Shasta County’s answer to ‘Martha Stewart’, Doni Greenberg’s website! I have done two articles so far and have introduced my cartoon character ‘Stikrz’ with her very own gardening tips. I bought myself a gift today. It is a Canon EOS 40D digital camera with an awesome 18-200mm lens. I have taken about a hundred images in just a few hours. 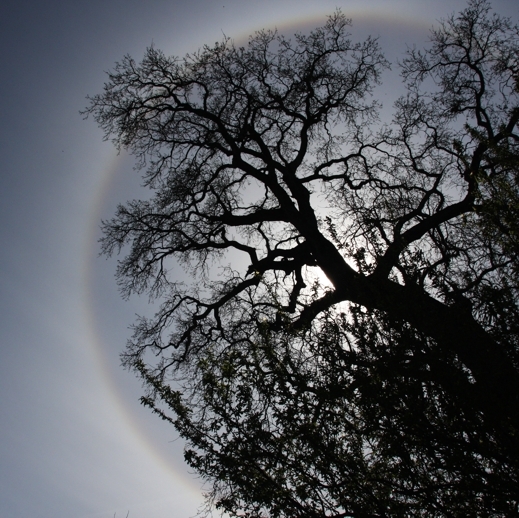 And there was an AWESOME 22° halo that was a perfect picture frame for my oak. 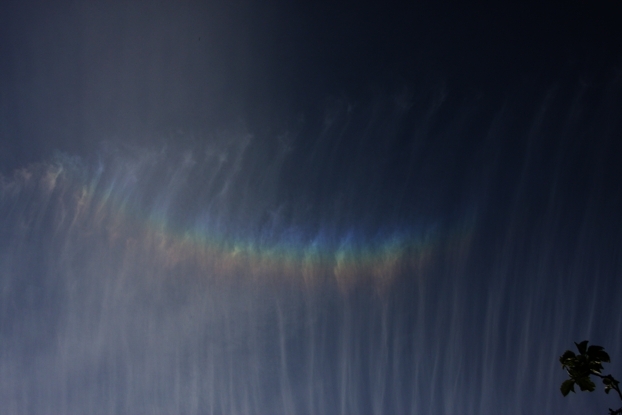 For a time it had an upper tangent arc and parahelia with tails, and a brief circumzenithal arc. And showcases my large cactus collection quite well. I am having a blast! 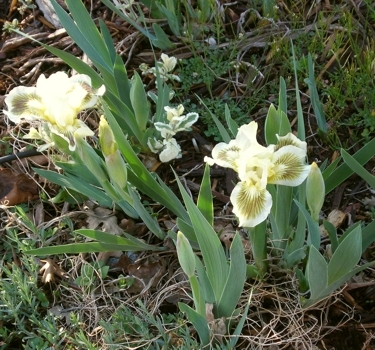 As the sweetest of springs unfolds, I thought it might be nice to share some of my favorite Miniature Dwarf Bearded Iris. 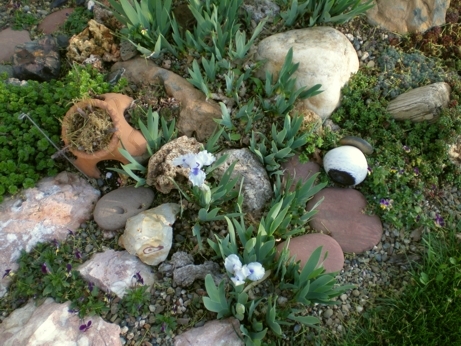 This image has a single purple/white iris and dwarf narcissus. 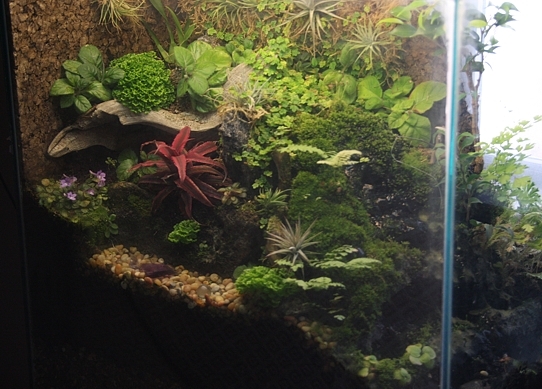 Miniature Dwarfs are generally no more than 8″, and perfect for rockgardens. 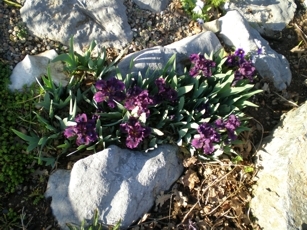 These purple ones have already crowded out their rocky niche. The last ones are my pale blue MDBI, it is a repeat bloomer. All of my stakes and tags have mysteriously disappeared, so I will have to do some sleuthing to find all their names, again. 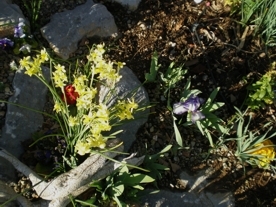 My rockgardens tend to get a bit cluttered over time, since I am always bringing home more rocks, sticks and rusty things. Bits of broken crockery, glass and also tacky plastic lizards, dinosaurs, giant ants, etc. that are only seen in the dead of winter when your eyes are desperate to see anything bright and colorful. 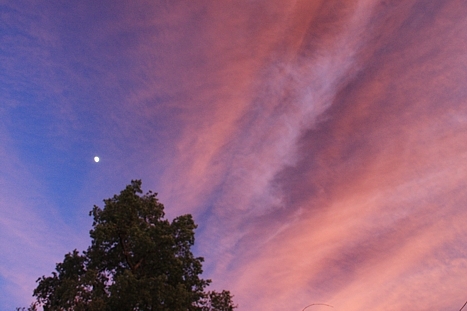 This little Olympus digital camera isn’t too bad, but I can’t wait to get my digital camera. Time to put work aside, no DISPARAGEMENT* here! My gardens are starting to wake up, and it can’t happen soon enough! Above is a springtime treat, Euphorbia myrsintes sandwiched between two Phlox sublata. This euphorb stays low to the ground, has lovely evergreen blue-green foliage, and shocking, long lasting chartreuse flowers. It adapts well to dry situations, and lives through our unusually cold (for our area) winters, where we often get down to 25-28°. The only downsides to this hardy plant is its irritating sap, common to euphorbs, and its prodigious seed crop. 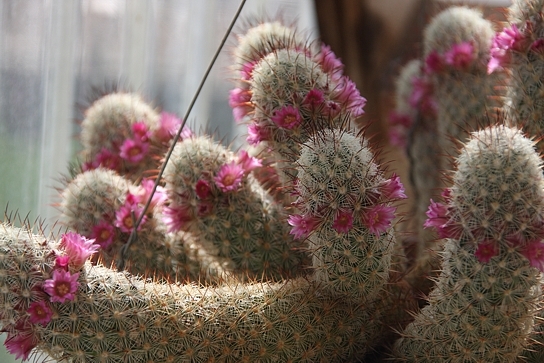 It is best to remove all seed pods soon after setting–and don’t forget to wear gloves! 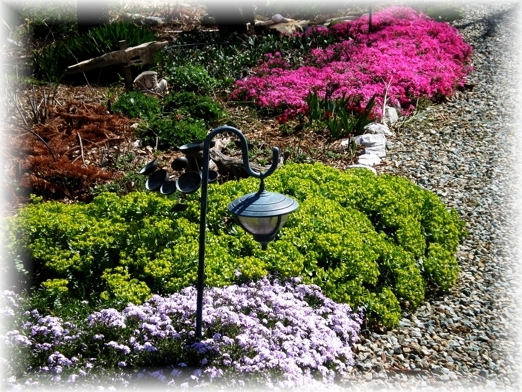 Phlox is a long-time early spring favorite, blankets of color, star shaped flowers of magenta, pink, white, lavender or striped pink, spilling over walkways and rockery with abandon. 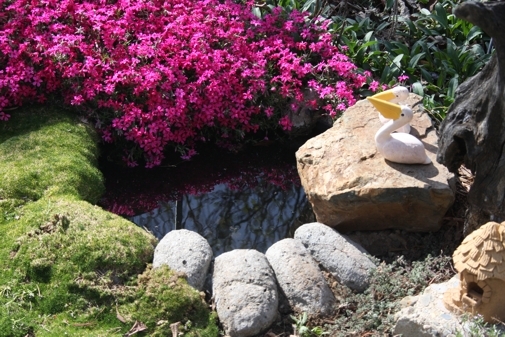 It adapts to rock gardens, full sun or partial shade, and average water. It takes light foot traffic, as well. During the remainder of the year, it is a tidy, evergreen mat of sharp needle foliage, prune around the perimeter to keep in within bounds. It likes to overrun my James Kelway pyrethrum.
. 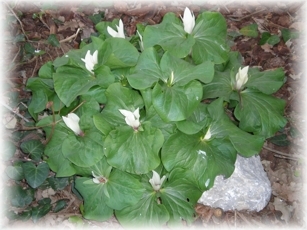 This beauty is Trillium chloropetalum, a native to our higher foothills and mountain meadows. This one was gathered at Shasta Marina in a washout area of a creek, unearthed by the recent flooding. I’ve had it for about five years and it never fails to bloom for me. I have it on the east side of the house, under the protection of the eaves, with rocks around it to protect it from inadvertent digging, since it goes dormant as the summer heat climbs. 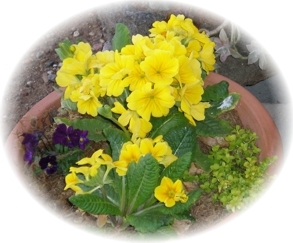 Here is another little gem of mine, a yellow Primula x polyantha. I find that these are short-lived in our hot climate, but planted in a moist north facing bed you can get most of the common primula to hang in there a couple of seasons. This one was a knockout from the start. It is taller than most of what is offered in Redding, and this pot of primulas is five years old! It gets wheeled to a very protected spot during the summer and winter, then gets showcased with volunteer purple violas and the chartreuse leaves of Veronica repens ‘Sunshine’.
. 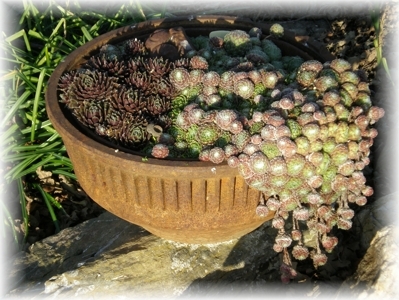 Anyone who has visited my gardens knows I love succulents, and I love ‘found’ items, the rustier, the better. This ‘pot’ is a brake drum from an old car, found at the scrap metal yard. They are heavy containers, but are very sturdy and perfect for smaller sempervivums. I find that sedums don’t do as well as semps in these containers. Look how the cobweb semps drape over the side! Not all that blooms has color in my yard. 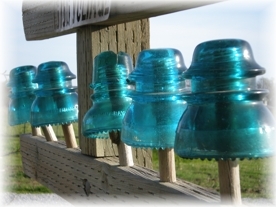 I love old glass insulators, and these Hemingray 42s are my favorite! There is just something about that wonderful aqua blue color. I created a mini ‘power pole’ to showcase my collection, and when the evening summer streams through them, it is beautiful. To those ‘in the know’ my Micky Mouse Hemingray enjoys the safety of my window sill.
. 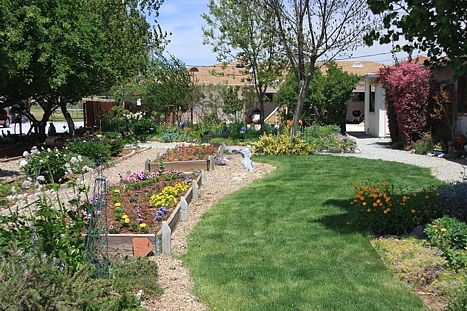 Here is my yard, still sleeping for the most part, but the rosemary in the herb box is abuzz with bees, the euphorbia characias (I have lots of euphorbs) to the left is showing off its acid green blooms, a phlox and Iberis sempervirens blooming low in the perennial strip. (This is where my peonies are) and my river of grass is dark and lush. It is still too early to plant the annual boxes, last year I tried to start too early and I was out placing row covers out on them every night. I’m waiting until next month to plant them. It is still getting down in the high 20s in our micro-climate, down in the ‘holler’. My oldest ‘child’ Jason came home with a digital camera, so, as you can see, I’ve been out snapping images right and left. I am in the market for a Canon Rebel, as I already have lenses. Soon I will be looking for the right deal. This camera is sufficient for many instances, but I need that macro! *I am under a non-disparaging clause for my remainder of time at work. I would like to remind any members of ‘The Company’ (you know who you are) that anything written in this blog, with any hint of a disparaging remark was placed here well before my termination inception. I have been very careful to not name names and sensitive information. My remarks have been a general industry-wide concern. Many people face what I face, in today’s world. Act with ethics, care, empathy, concern and patience with us all, whom you oversee, as is fitting for someone in your position. 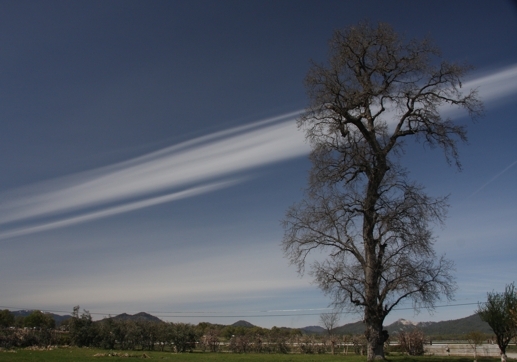 One wonderful reason that I love living in this great north state is the early promise of Spring. Here it is, only late February, and the pink petals of the purple plum tree are already peeking out of their buds, Bradford pears and almonds burst forth, and crocus and daffodils have already made the scene. If you are blessed enough to live close to the hills, the rich, honey scent of manzanita blossoms fill the evenings and the Pacific tree frogs are singing their courtship song at the creeks and and wet spots at night till they wind down as it gets cold. If you are a scent-lover, you cannot be without Daphne odora marginata this time of year. Never failing a February show, this shrub will utterly delight you with the most heavenly scent that falls somewhere between orange blossom and Fruit-Loops. Its best grown in a large pot in our area, the gophers love the roots and they are picky about drainage, but if you have an east or north entryway, its creamy white edged leaves and pinky white blossoms are a must have to greet you when you get home. Make sure to pick a handful of the blossom sprays and bring indoors. They will fill your room with delight. 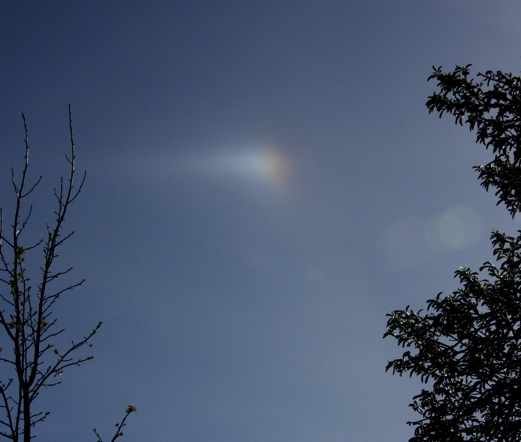 If early spring color is something you pine for, johnny-jumpups are a good bet. 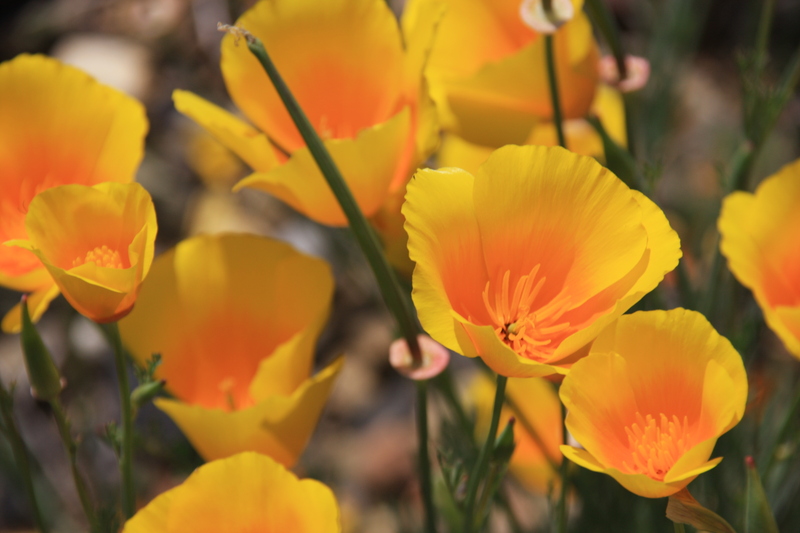 Once they get established in your flower beds, they will rise up in every little spot, but their cheery purple and yellow flowers never fail to make you smile. Pansies are great this time of year, if the rain (or hail) hasn’t pummeled them to mush. 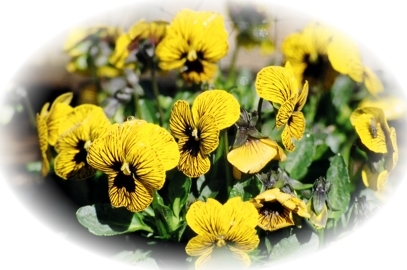 ‘Tiger-Eyes’ are one of my favorites, it is halfway between a pansy and a viola in size but look at those ‘whiskers’! 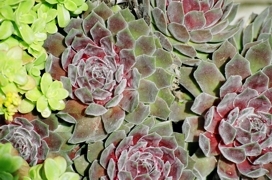 If you are a succulent lover, sempervivums are a must for the dry shade in your garden. This is the time of year that the purples, blues and reds glisten from these hardy perennials. One of my most satisfying gardens are my rock gardens, and the sempervivums are the rock-stars of the gravel beds. 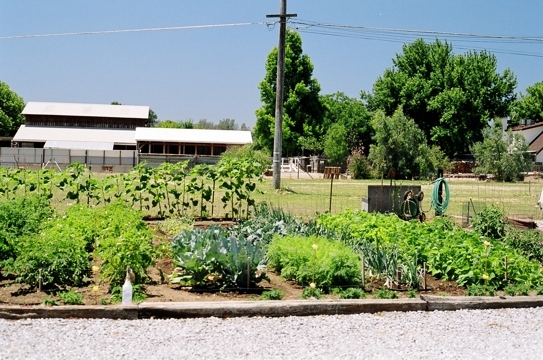 Now is the time to get that vegetable garden ready, too. 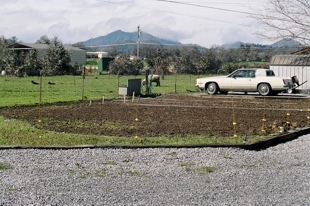 We have ours rototilled, but haven’t done much in way of starting the seeds. It doesn’t help that I have hurt my back (chiropractor says I have too much stress in my life, imagine that?) and can’t sit or bend forward comfortably for any length of time, so the seed starting must wait. Also, it is the time of year that I can get a minute or two outside after work, as the days lengthen once again. The back of winter has been broken and spring can’t be held back. Soon those all too short weeks of unbelievable green will flush the landscape, brighter than any memory can hold, before the heat hardens everything into the greys and blues of a scorching Redding summer.